One of FLOORS In Africa magazine’s articles has received a Ceramics of Italy Journalism Award 2018 mention by Ceramics of Italy. The award recognises the best published article on the Italian Ceramic Industry and/or Cersaie 2017, which took place in Bologna, Italy from 25 – 29 September. “We are thrilled to receive a Ceramics of Italy Journalism Award 2018 mention. 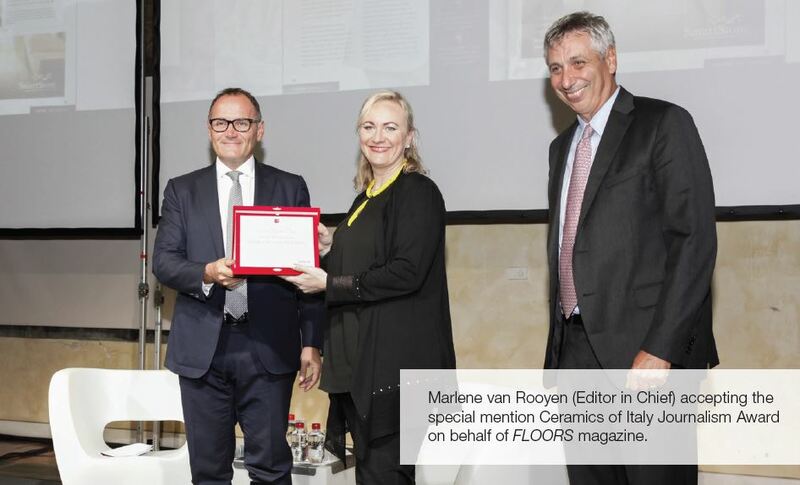 It’s a testament to the quality of our editorial content and I would like to thank the entire team involved in the publication,” says Marlene van Rooyen, Editor in Chief of FLOORS in Africa magazine. “Each year, we cover this event because it’s one of the most prominent exhibitions in the flooring market. Our editorial team loves being exposed to the latest trends and technologies in flooring because reporting these insights and news to the South African market is one of our primary goals as a publication. It’s both humbling and exciting to be recognised for our content on a global scale,” says Marlene.